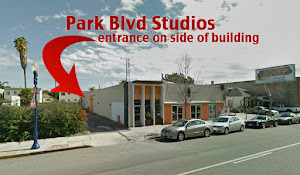 Park Blvd Studios: Happy Holidays! Happy Holidays from Park Blvd Studios! and just a reminder.. we will not be running the figure sessions until after the new year. so.. no figure session on Thursday December 26th, or Sunday December 29th, or Thursday January 2nd. Enjoy the holidays and Happy New Year!